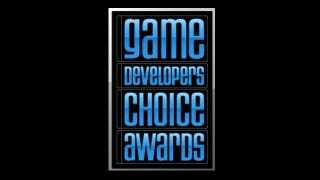 The nominees for the 2012 Game Developers Choice awards have been announced. The awards, which will be held at March's Game Developers Conference in San Francisco, are one (if not the) most prestigious awards ceremonies in gaming. They occur the same night and location as the Independent Games Festival (IGF) awards. Both Bethesda's Skyrim and Valve's Portal 2 (best known as Kotaku's game of the year) received a bunch of nominations. In something of a surprise, XBLA downloadable darling Bastion grabbed an equal number of nominations. This is why I love the GDC awards! We can only hope that Mr. Tim Schafer will be there again, and that he will once more make a series of meme-worthy facial expressions.